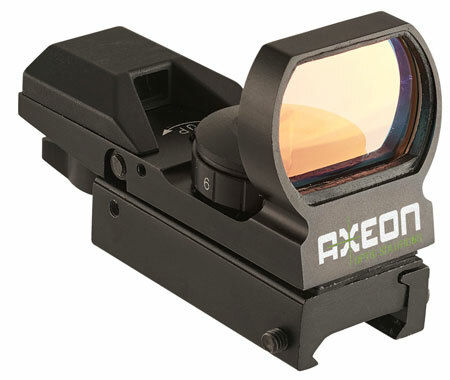 The Axeon R47 MultiReticle Reflex sight fits Picatinny and Weaver rails. Has a brightness rating of 7. The sight has high quality coated lenses unlimited eye relief and is waterproof fog proof and shockproof. Reticle is red and has four options.